Starting with straps, any application can be custom applied to the platform on the tights for complete user control. The future of injury prevention is tech that measures and quantifies data to help you get better and stay better. 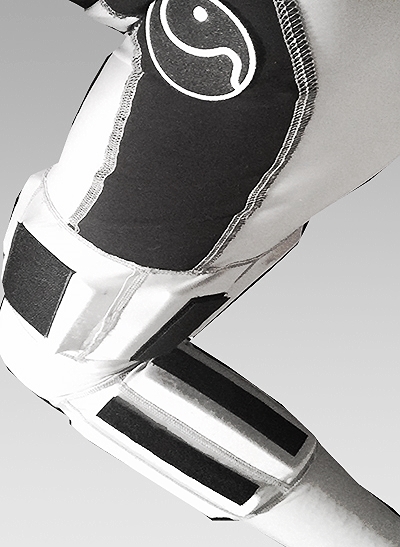 A buffer between the body and a functional knee brace providing space for muscles and keeping the brace in place. 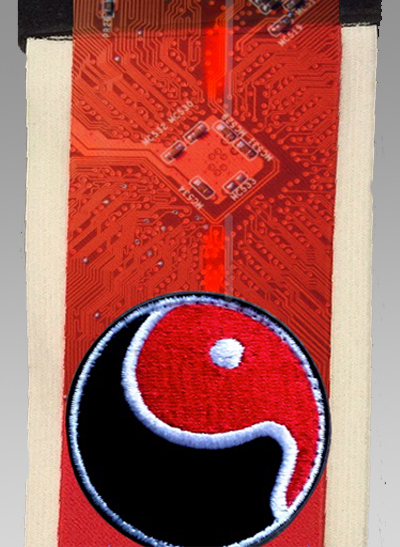 BRACEUNDER adds applications to compression garments. 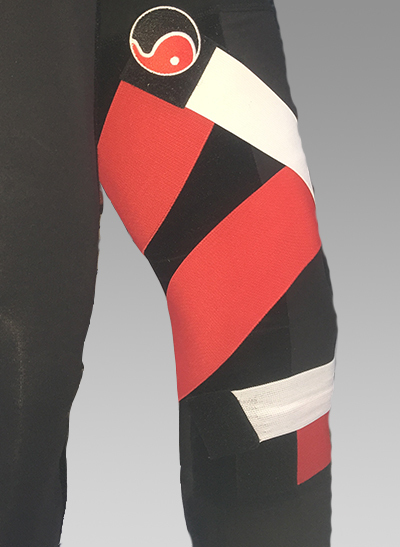 Our first application is a better, and reusable form of kinesiology tape. A longer strap that wraps the entire 360 degrees around the limb. A short strap that goes over 180 degrees of the anterior or posterior aspect of the leg. A medium length strap that spans diagonally on either the front or back of the limb. - The Red, half-strap application method, goes across one side of your leg. It can be used for things like patellar tendonitis, osgood-schlatter's disease, calf/ shin/ quad/ hamstring injuries, and more. - The White, full-strap application method, goes around the entire limb and can be used for injuries like: quad strains, hamstring tendonitis, patellar tendonitis, calf/shin, and more. - Creates a fascial lift, it can be used to mimick muscle functions like VMO mimicking to adress weakness/ atrophy of the medial quadriceps.